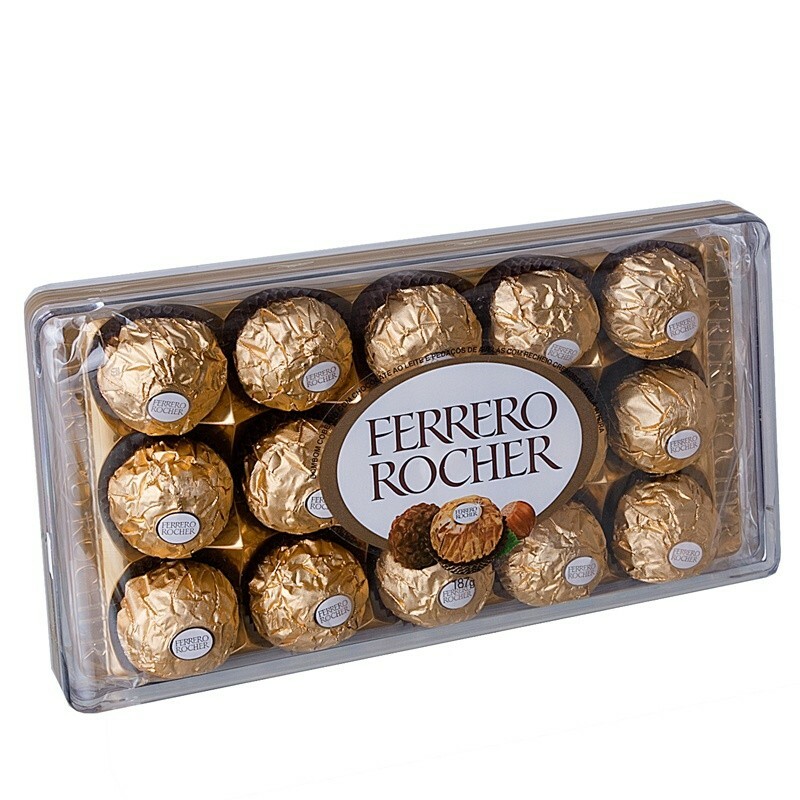 Add this delicious 15 pack of Ferrero Rocher chocolates to your flowers or gift basket now! It will surely please. 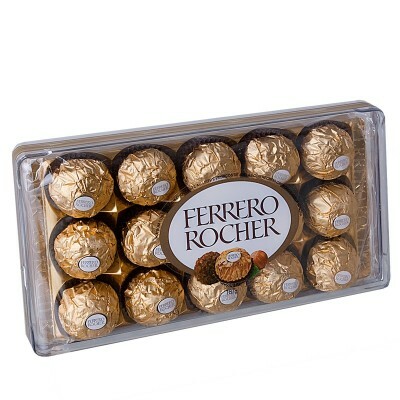 The 15 pack (187g) of Ferrero Rocher chocolates are very popular at Floresnaweb due to their amazing taste.